Kristin Windbigler is the new executive director of the Western Folklife Center and the event it runs, the National Cowboy Poetry Gathering. 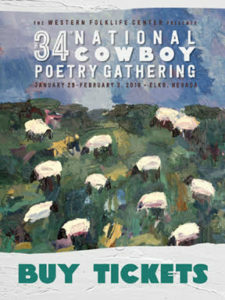 We visited with her via email about the organization and this year’s production, the 34th annual gathering which runs from January 29 to February 3 in Elko, Nevada. Cayuse Communications, the family of six sites including NickerNews, BestHorsePractices, and HorseHead, are regular sponsors of this wonderful mid-winter event. This year’s NCPG theme: Basques and Buckaroos: Herding Cultures of Basin, Range, and Beyond. The weeklong winter event features workshops where visitors can learn about Basque cooking, Dutch oven cooking, two-step dance, cinch making, rawhide braiding, and hat making, to name a few. There are also special events to connect more closely with favorite performers, like poet Paul Zarzyski and musician Dom Flemons. NickerNews: Why do you think you were chosen to lead Western Folklife and the Gathering? 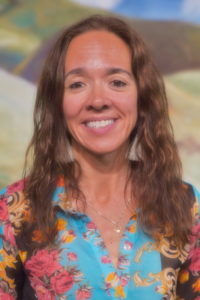 Kristin Windbigler: I was raised on a little place in a remote community located in the rugged ranching and timber country of Humboldt County, California. I come from gyppo loggers on both sides of the family, but there is a ranching thread in the weave, too. I’ve been around cattle and livestock most of my life. I have attended the Gathering for nearly 20 years and as a participant since 2005 when I made my first of seven films for the Deep West Video program. I joined the board in 2013 and most recently served as its vice chair. I fell in love with the Gathering that first year I attended because I saw my own culture—the life I grew up in—recognized, examined, celebrated and lauded. 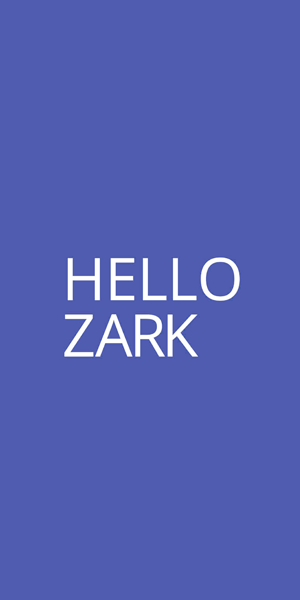 The Western Folklife Center and the National Cowboy Poetry Gathering explore and give voice to the traditional and dynamic cultures of the American West, and I couldn’t be more thrilled and humbled by this opportunity to grow the organization. NN: What are you interested in having evolve at the Gathering and what you are interested in maintaining as more or less the same? KW: I’m not going to mess with the magic, but I would like to make it all more accessible and also to new audiences — that means both people who live the life as well those who have an interest or love for the West and life spent close to the land (and those certainly aren’t mutually exclusive!). I hope to nurture the deep connections everyone makes at the Gathering as well as foster new ones by using technology to bring the organization’s far-flung community together year round. Read more about that here. 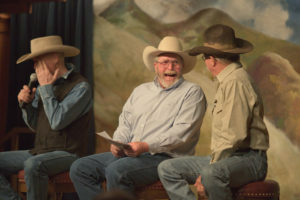 NN: Are there more workshops than in the past and if so, is this an intentional pattern of introducing more ways for members to engage in ranch culture? Are more and more members “from away” (ie, not ranchers but wannabe ranchers)? KW: Much of the 2018 Gathering planning was already underway when I came onboard in June, so I can’t take any credit for the incredible offering of workshops—that all goes to the Western Folklife Center’s talented programming staff. It is very much part of our mission, though, to provide a venue for artists to pass on their crafts and skills. The Gathering has a long history of fantastic workshops, and I’m so thrilled you are interested in making people more aware of them. You are correct in noticing there is an increase in the number we’re offering in 2018, but that’s just because Gathering participants (ranchers/cowboys included) enjoy the hands-on offerings. The Gathering isn’t solely about stage performances with featured artists, but also about actively engaging with many Western artforms (including cooking, gearmaking, visual art, poetry writing and recitation, open mics, etc.). We appreciate that there are different ways of doing this, so we like to provide lots of options. All kinds of people take these workshops, and I would not say they’re intentionally geared toward any particular audience as often as they are designed for both beginners AND skilled, advanced students. I think it’s worth pointing out that I know several highly skilled gearmakers who did not grow up in this life, but came to it later because they were interested or had a passion for it. Anybody who has the desire to learn is welcome. NN: The Western Folklife staff is almost all women – Serendipity? Strength? Weakness? KW: I don’t spend a lot of time thinking about that. A person’s gender doesn’t have much to do with what they can accomplish. I don’t have any brothers and my dad got a lot done on our place with the help of my mom and two little girls. I grew up building fence, bucking hay, and packing fuel and saw oil in the woods when he was falling timber for the neighbors. He told us we shouldn’t ever apologize for being small or not as strong, but we did need to learn to make good decisions and use our brains to work efficiently, especially when we needed to make up the difference on a task that required brawn. That said, this job doesn’t require much lifting. 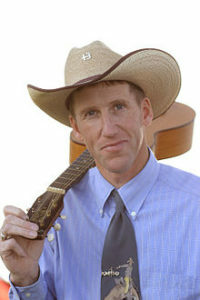 Posted in Events and tagged kristin windbigler, national cowboy poetry gathering, western folklife.